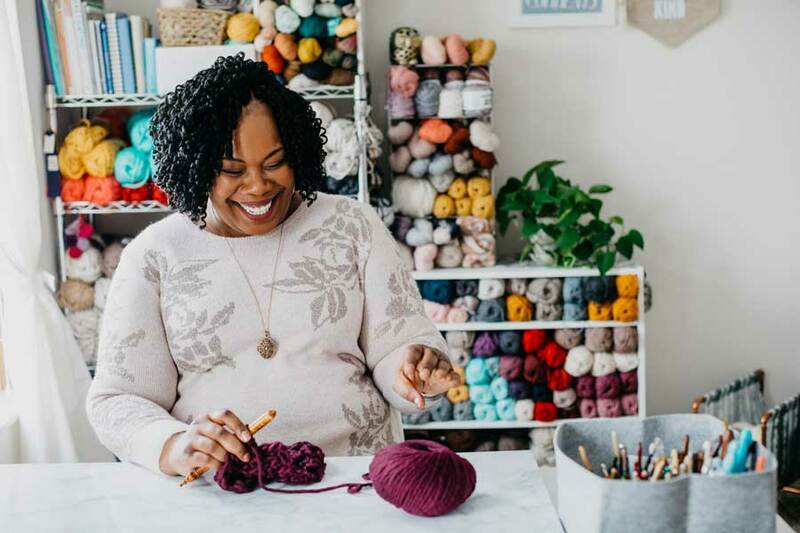 Toni Lipsey is the Crochet Designer and Instructor behind TL Yarn Crafts, a creative lifestyle brand based in Columbus, Ohio. 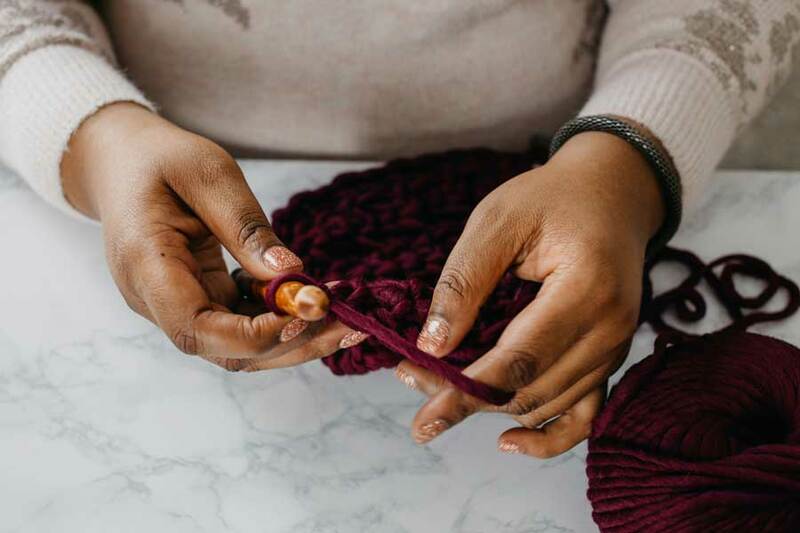 Toni specializes in garment and accessory designs, drawing inspiration from trending fashion and traditional crochet technique. When she’s making all the things, you can find her cuddling with her two kittens or binge-watching Netflix. 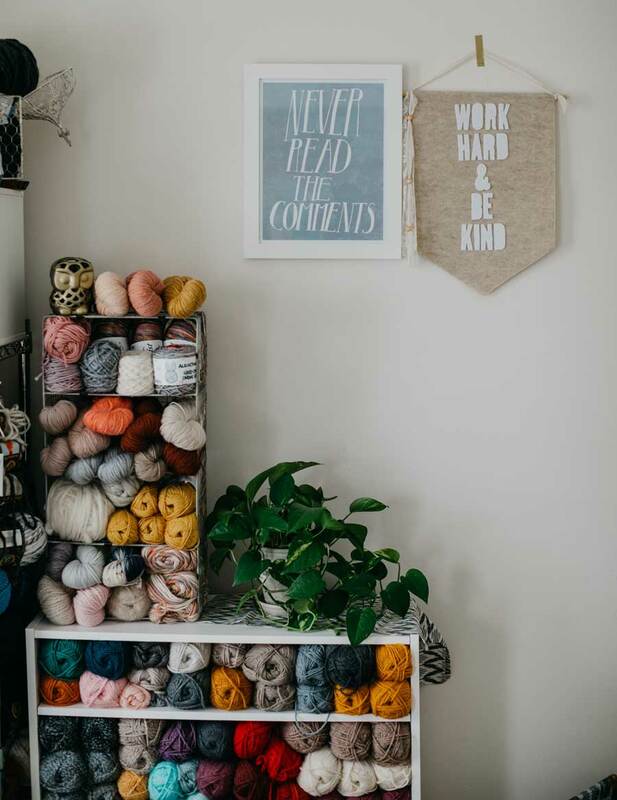 Keep tabs on Toni via Instagram and visit TLYarnCrafts.com for her crochet patterns and maker gifts. You’ve heard the rumors: organic reach on Instagram is way down. Changes in the algorithm might be the reason your loyal followers are not seeing your posts. Beat the algorithm with an Instagram refresh! Follow these 10 tips to create a new and improved social media presence. Tip 1: Take a Break. I mean it. Take a couple days or even a week away from posting to Instagram. An escape from the daily grind of posting can reignite your inspiration and remind you of all the reasons you love the platform. Use your break from posting to fall back in love with your craft. 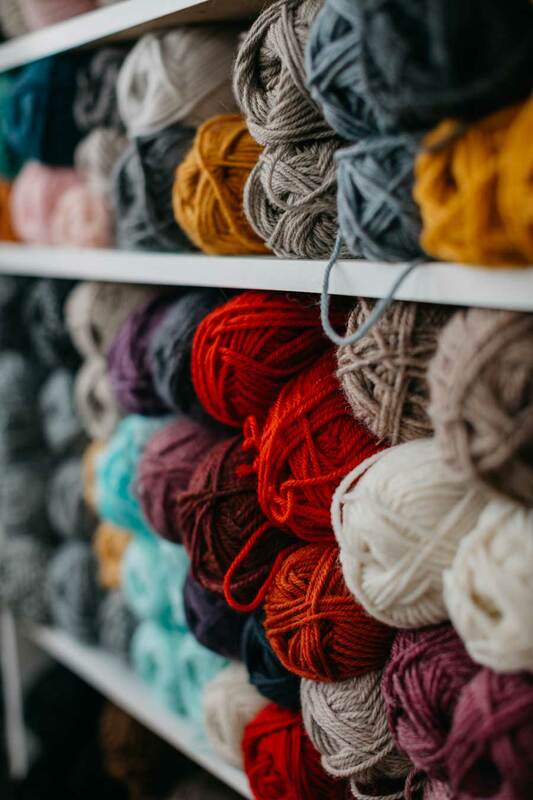 Start a new project or finish one of those WIPs in the back of your closet. 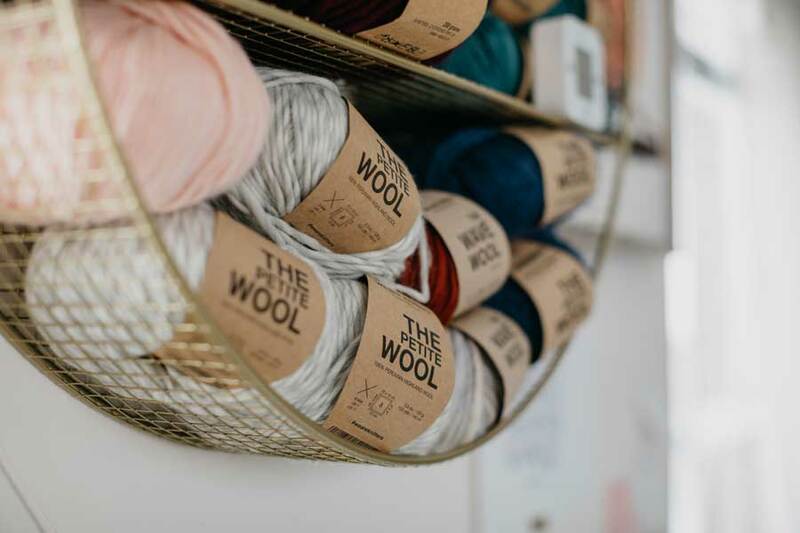 Go to a museum, join a Sip & Stitch group, or just get lost on Pinterest. Dive into the things that inspire the content you want to share on Instagram. Tip 3: Define Your Brand. Instagram and social media promotion are only one part of your brand message. So, it is important to take time to get to know your brand. Make a list of adjectives used to describe your brand and your ideal customer. Use that list to determine the experience you want followers to have when they engage with you on Instagram. Even in the best of circumstances, most of your followers will engage with your content for a matter of seconds. Make those seconds count! Focus on a strategy that marries consistency with aesthetics. Choose how often you plan to post, what types of posts you want to include, and how to achieve the perfect image with minimal effort. If you need a place to start, behind-the-scenes posts and tutorials garner massive engagement. Tip 5: Revisit the Basics. Now it’s time to spruce up your Instagram profile elements. If your feed is the face of your brand, your profile picture and bio are the eyebrows. Choose a profile picture that represents you and shares your personality. Get creative with your bio, adding line breaks and emojis. Be sure to include a call to action in your bio that directs followers to your hyperlink. Tip 6: Change Your Filter. Image filters are the signature you put on your content. If your feed is getting stale, consider a drastic change to a whole new filter. Going from a high contrast filter to a softer one with pink undertones communicates a new message to your followers and further defines your brand. Be mindful of any colors within your image that might clash with your new filter. Tip 7: Refresh Your Hashtags. Research shows that the use of 11 or more hashtags on a photo increases engagement. But that only works if you are using the right hashtags. Take some time to improve your tags – gather a few from other accounts within your niche and/or search your current hashtags on Instagram to find related suggestions. We can all agree that video is king on social media. Step out of your comfort zone and find a way to incorporate video into your Instagram strategy. Post a how-to video to your feed or even go live and share some behind the scenes footage. Build trust by using video in your strategy and let everyone see your beautiful face. Tip 9: Say It with Stories. Stories are my absolute favorite part of Instagram. I spend a lot of time curating my feed, but I really get to be myself in stories. Use this feature to highlight your brand’s personality. Add location tags, mentions, polls, and doodles to share your silly side with followers and watch your engagement skyrocket. Tip 10: Engage, Engage, Engage! The number 1 thing you can do to refresh your Instagram presence is to engage with your audience. Try to reply to every comment on your posts. Leave comments on posts for accounts that you follow. Like, comment, and follow new accounts via the Discover or Search pages. Don’t forget that Instagram is a social network and a powerful tool for connecting with others. It’s not just you – everyone is looking for ways to increase Instagram engagement these days. Spend a little less time worrying about the algorithm and more time connecting with the people and brands that brought you to the platform in the first place. If you liked these tips, you will love my weekly Instagram LIVE chats, Tuesdays at 7pm EST. Topics change every month and video recordings can be found on my YouTube channel. Find all of my original crochet patterns on TLYarnCrafts.com, along with t-shirts, coffee mugs, and pin back buttons for crafty makers.